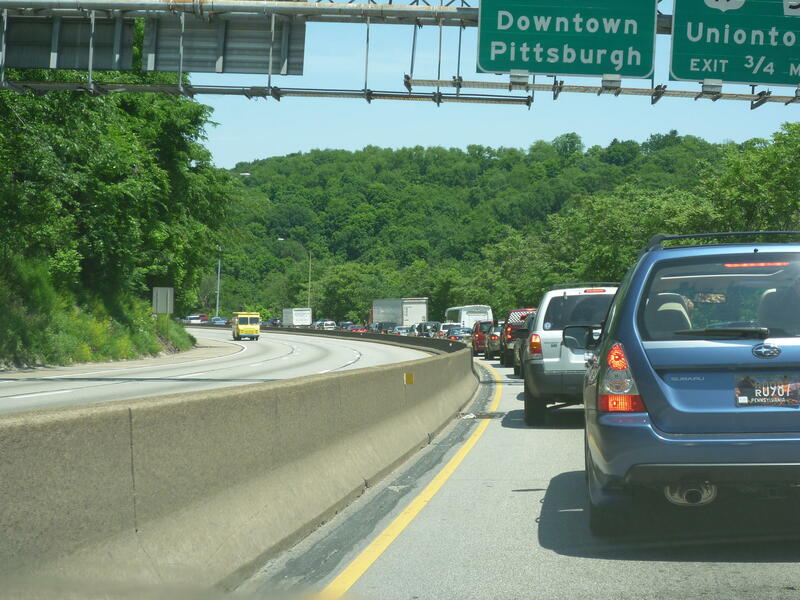 The Fort Pitt Tunnel is one of the loudest places in the Pittsburgh region. Pittsburgh can get quite noisy between Port Authority buses hurdling by, the screeching of the T and a commute surrounded by trucks and thousands of other motorists. For our Good Question series, 90.5 WESA's Alex Popichak set off to find the noisiest place in the region. Honking car horns, screeching tires and the thunderous rumble of truck engines surround passersby on East Ohio Street. The street, while not Pittsburgh’s busiest, is among the noisiest. The North Side overpass is in the heart of an interchange that dips below the Veterans Bridge and passes above Interstate-279. The stretch of road is definitely loud, especially during the afternoon rush. Acoustical Engineer Stephen Roth believes the noisiest places in a city are high-traffic areas and construction sites. “Every time the game was at Bridgestone Arena [in Nashville], the announcers always made a point to talk about how loud it was in there and that just started me thinking what the loudest place in Pittsburgh was,” she said. Stephen Roth, an acoustical engineer at Roth Acoustical defines noise as “unwanted sound.” He conducts noise studies and makes recommendations for businesses that are required to comply with noise ordinances, such as restaurants and music venues. Roth said he believes the noisiest places in Pittsburgh on an on-going basis would be areas located near traffic noise and construction sites. The key factor here is noise that is on-going. This excludes one-time occasions such as concerts, parades and sporting events. The WESA office averages about 50 decibels, as do most offices. Starting a car averages about 68 decibels. Roth’s firm consults with businesses on their sonic impact, particularly those that operate in areas that have adopted a noise ordinance to ensure compliance. “We turn the noise analyzer on, using the appropriate settings and measure the noise that’s coming from the offending source, recording those noises and then play them back to a computer,” Roth said. 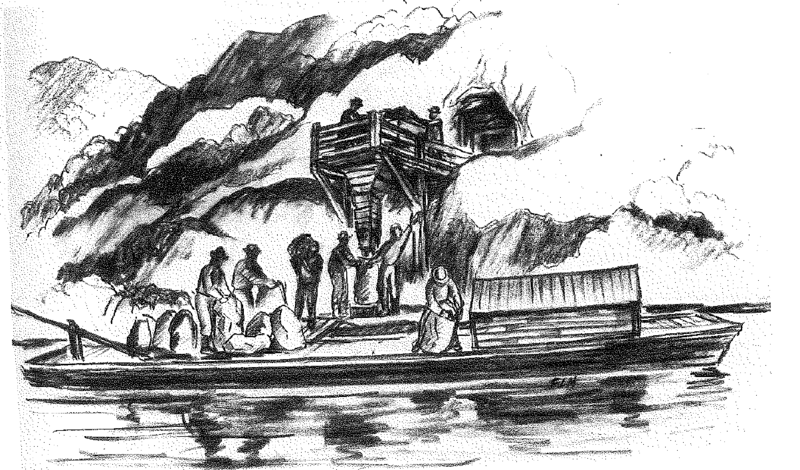 Software analyzes the recordings and comes up with an average reading. Pittsburgh's noise ordinance, for example, prohibits noise in a residential area above 55 decibels during nighttime hours and 65 decibels during the day. Data using this process is compiled by the Bureau of Transportation Statistics and mapped. Airports, for example, are required to regularly report their impact and forecast the next five years’ worth of noise averages. The map rates sounds from a pale yellow at the quiet end to a bright blue for noises reaching greater than 90 decibels. Highways like the Parkway and Pennsylvania Turnpike sprawl across the map like red spidery veins. East Ohio Street is a light purple patch, the Fort Pitt Tunnel is a darker shade of purple and Downtown Pittsburgh’s cross streets are strings of pink. Pittsburgh International Airport lights up on the far end of the spectrum. It has a noise footprint surrounding it that stretches for 40 miles from east to west and 27 miles from the north to south. The runways at the airport are highlighted in a bright blue and are the most deafening place in the region. The runways at Pittsburgh International Airport are the noisiest places in the region, averaging 90 decibels at any given moment due to aviation traffic. An airplane takes off from Pittsburgh International Airport. Jet engines average between 100 and 150 decibels, and Pittsburgh International averages 180 flights per day. According to a study at Perdue University, jet engines average between 100 and 150 decibels, depending on the size of the plane. Pittsburgh International sees an average of 180 flights per day, which explains the bright blue outlines. Luckily, no one lives anywhere near the runways. What have you always wondered about the Pittsburgh region? Submit to our Good Question! series and we’ll go investigate and find answers. For most of the history of Pittsburgh, elected officials have been white men. 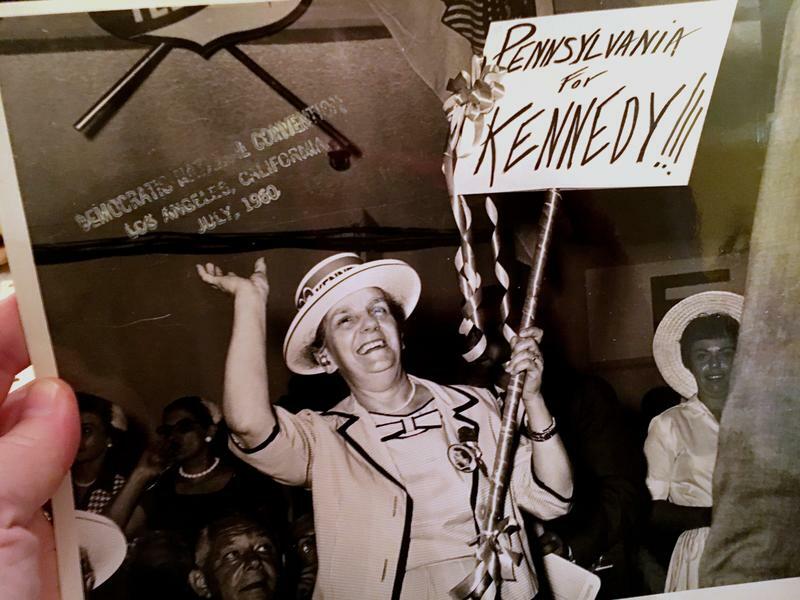 But in 1956, then-Mayor David L. Lawrence did something unheard of: he appointed a woman to City Council. That woman was Irma D’Ascenzo, an Italian-American Hazelwood resident who was working as secretary and chief examiner for the city's Civil Service Commission. Throughout World War II, and in the years following, she’d been volunteering and was active in her community. D’Ascenzo’s great-granddaughter, Jeanne Persuit, said Lawrence recognized that rising to council was a natural step for her. Even before Pittsburgh was topping “most livable” listicles and getting attention as the “next Brooklyn,” it attracted travelers from around the country. 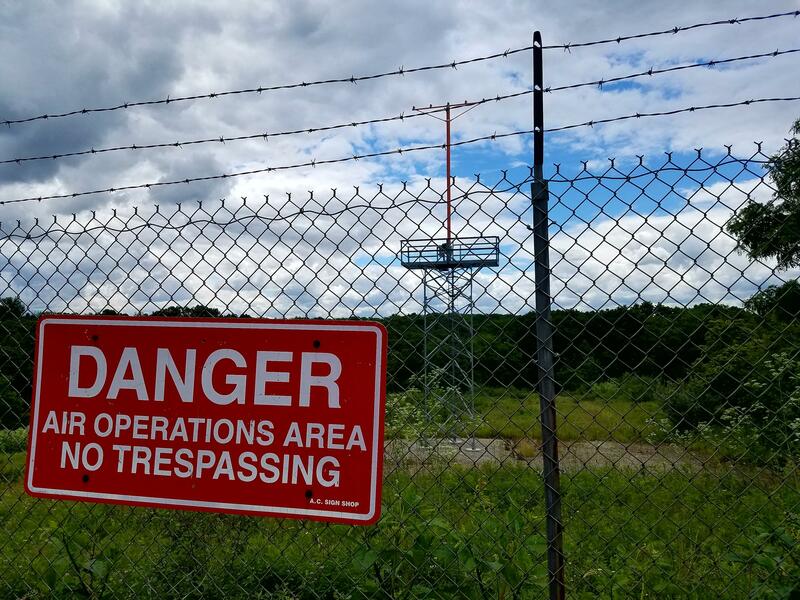 What happened to the abandoned coal mines in Pittsburgh? 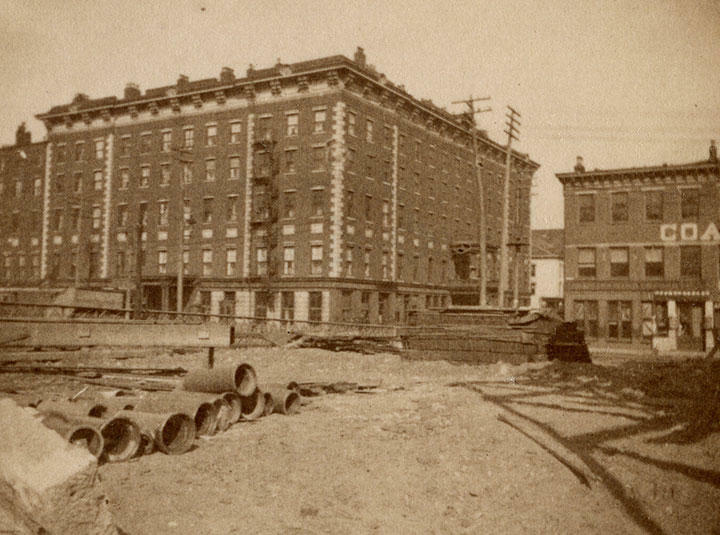 As part of 90.5 WESA's series Good Question, we look into the history of coal mining in the city. When Emily Eckel moved to Knoxville, a neighborhood south of downtown Pittsburgh, she was told to buy special subsidence insurance, just in case the abandoned coal mine beneath her house ever caved in. She'd never heard of it. 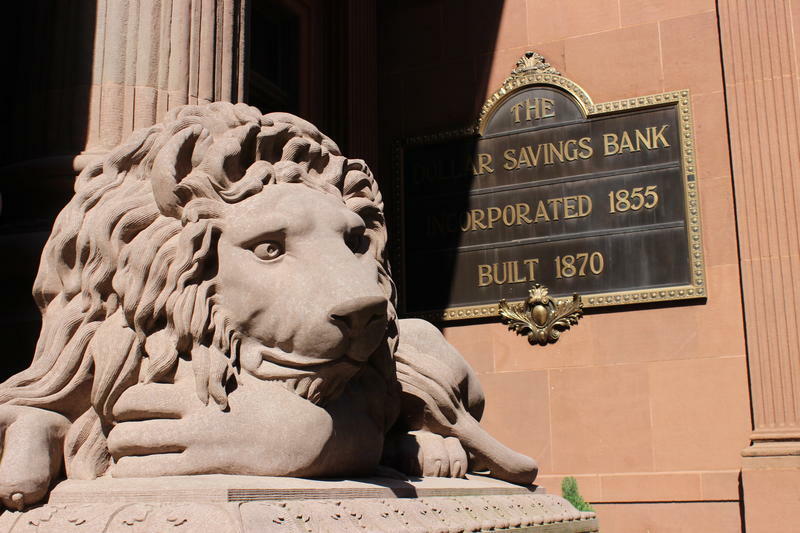 Lions have long been a part of architecture, but why are they so prominent on Pittsburgh's downtown Fourth Ave.? 90.5 WESA's Katie Blackley looks into why the street is so special for Good Question! Walking down Fourth Avenue in downtown Pittsburgh, it might feel like you’re being watched. And you are. There are about a dozen pairs of eyes glaring down at the street. They’re made of gray and brown stone, some with intricate carved manes. Lions are a common sight on this stretch of downtown, and they have a very important job: to guard. Why Are Sea Gulls Suddenly Flocking To The Highland Park Bridge? The Highland Park Bridge is noisy—traffic speeds by as barges pass through the nearby lock and a train rattles underneath. 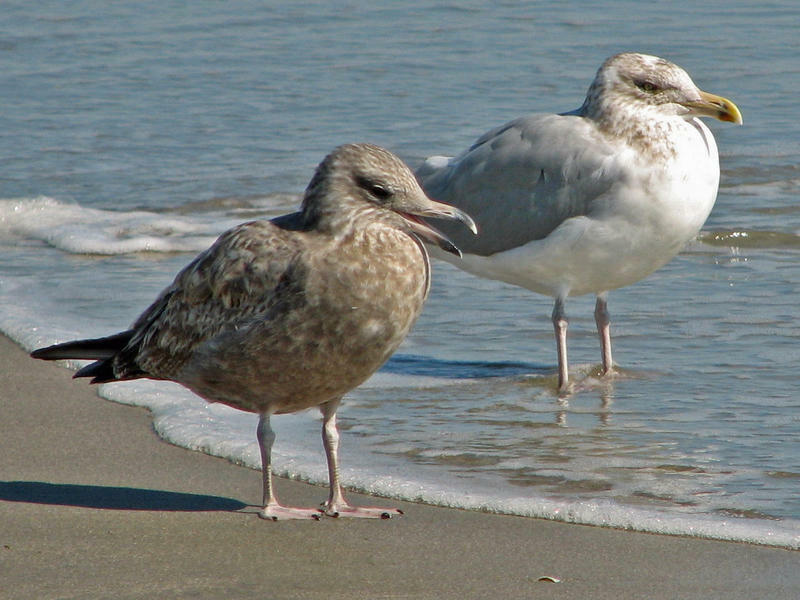 But in the past few years, a new, natural sound has joined the orchestra of automobiles and industry: gulls. To be more specific: Herring gulls.